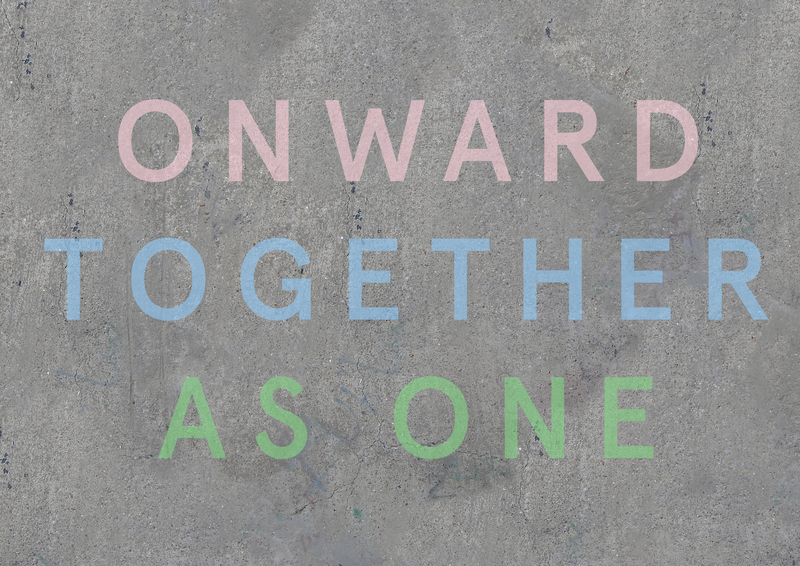 A debut project borne out of a partnership with Northumbria University also offers bold and inspiring commentary on the Great North Run this September, as artists Hope Stebbing and Oliver Perry - graduates of the university’s Fine Art course - launch Onward Together As One. 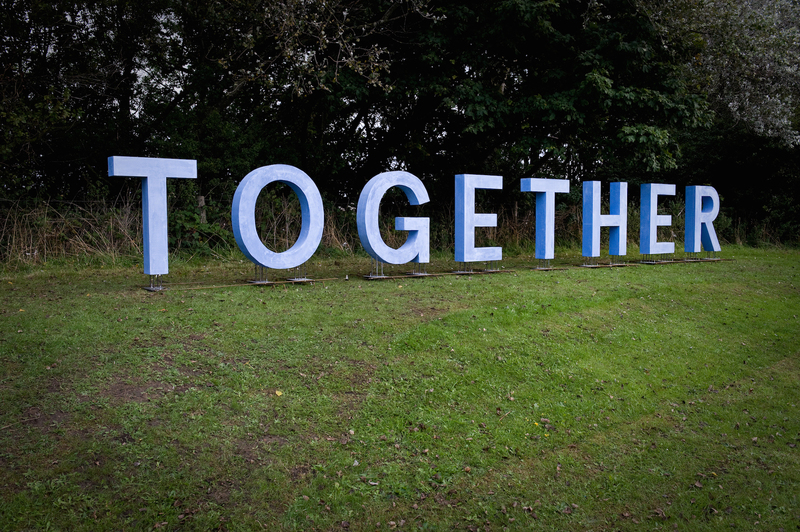 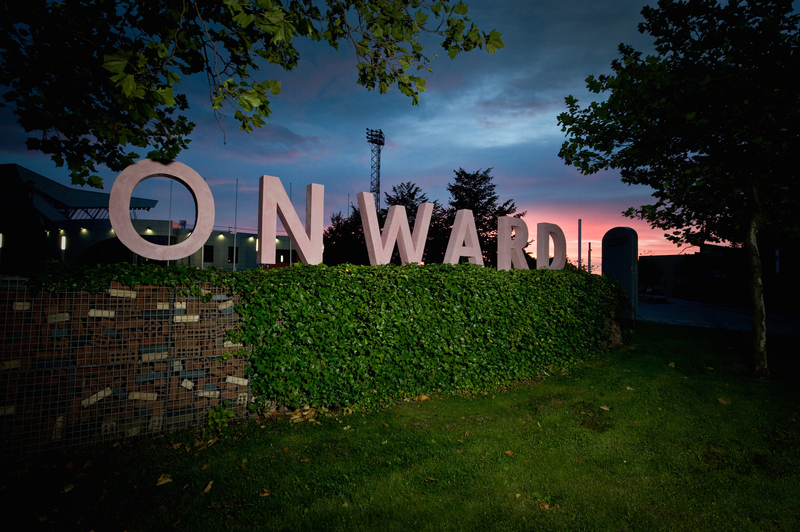 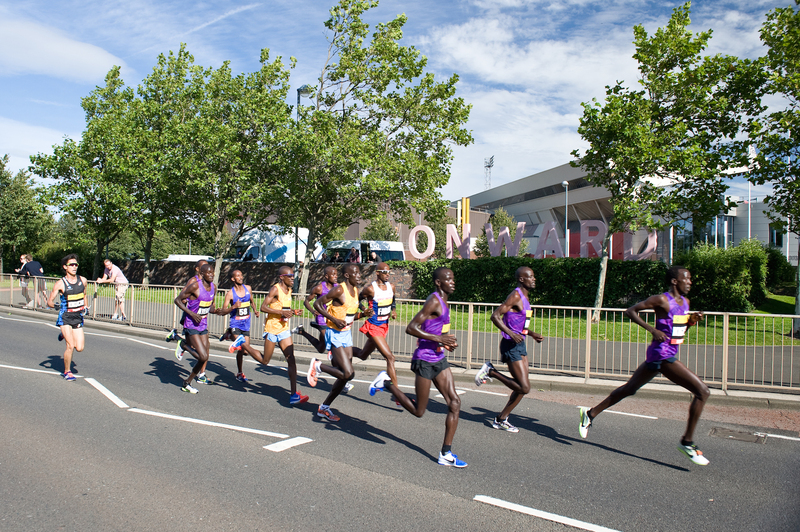 The project is a pop-up art installation, in which large sculpted letters spelling ‘onward’ ‘together’ ‘as one’ will be shown in three specific locations around the route of the run. 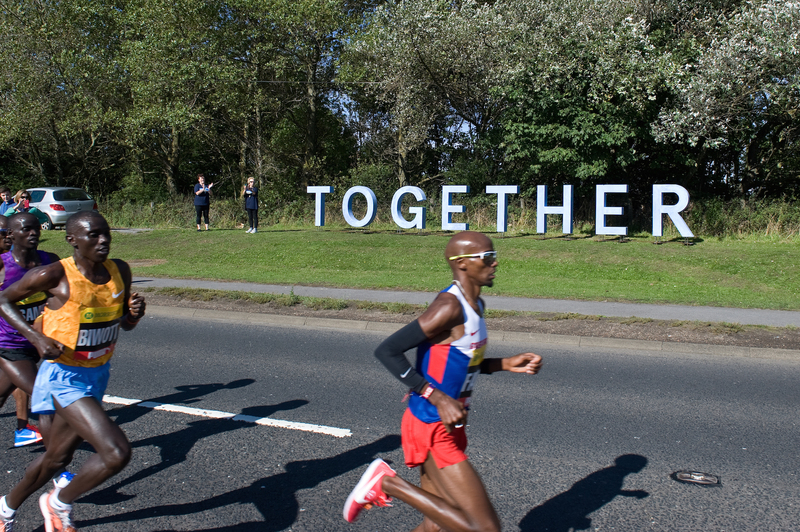 Appearing on the morning of Sunday 13 September and disappearing with the 57,000 runners after the race, the artists’ have taken the idea of over fifty thousand individuals moving through the course as though they were one, all connected and communicating, ebbing and flowing, moving forward together. 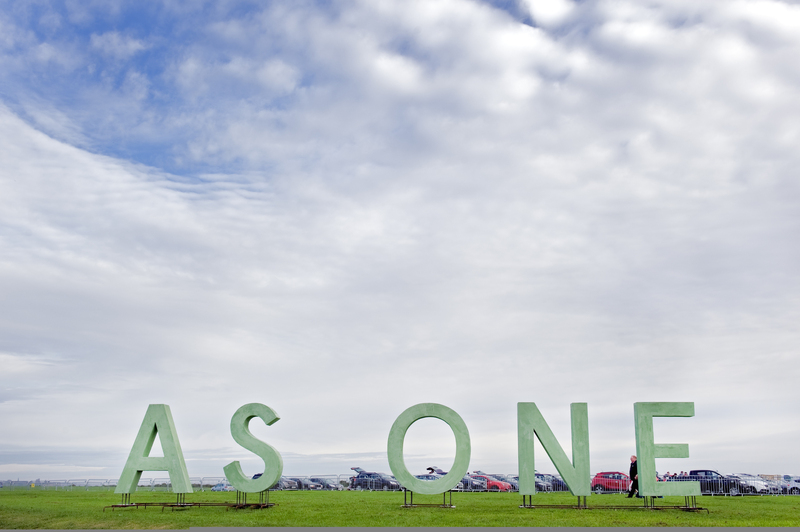 Artists Hope Stebbing and Oliver Perry, recent graduates of Northumbria’s Fine Art degree successfully pitched their artistic concept in November 2014, to a selection panel which included Beth Bate, Director of Great North Run Culture, as well as Ronan McCree, Fiona Crisp and Jamie Steane, representing the art and media departments of the University. 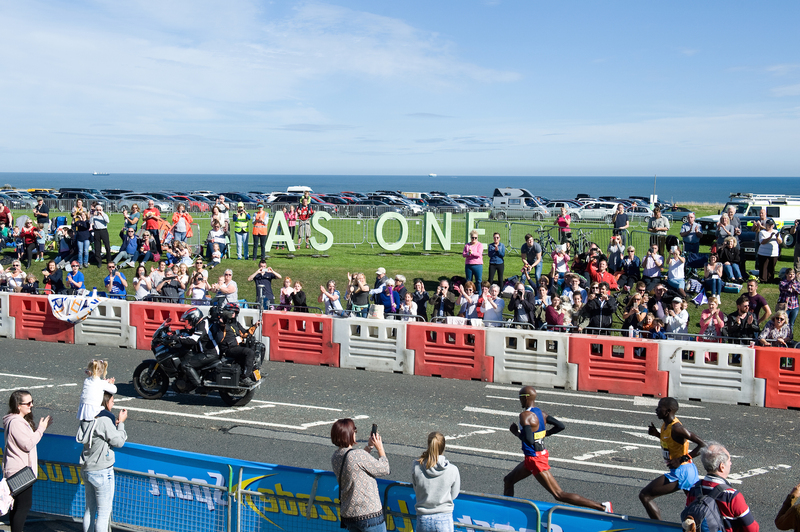 As a result, the duo received £4,000 to develop their artistic vision in celebration of the Great North Run and their work will be unveiled in time for the very first time on Sunday 13 September to coincide with the world-famous half marathon event.